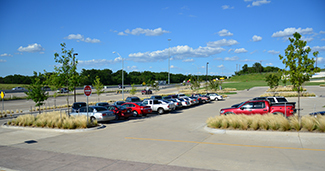 A new park-and-ride lot is open at the corner of Copeland and AT&T Way in Arlington. 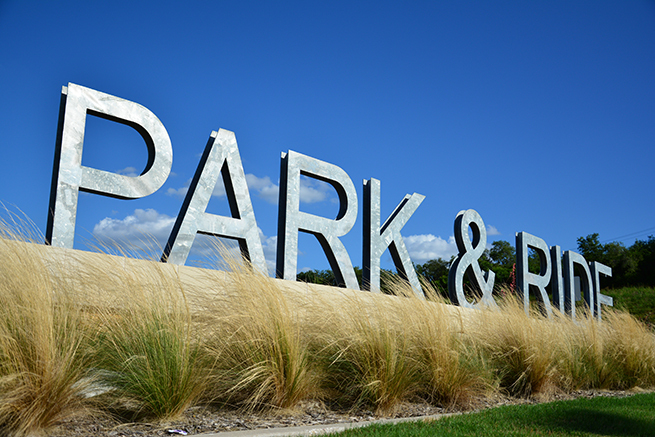 The park-and-ride lot is a partnership between the Texas Rangers and North Central Texas Council of Governments with signage assistance from the City of Arlington and Texas Department of Transportation. With easy access to IH 30 and near major interchanges with north-south roads, the free Texas Rangers park-and-ride lot in Arlington is en route to major employment destinations, making it a significant benefit to drivers and the region. FWTAexas Rangers designated 100 spaces in Lot G for free commuter access 6:30 a.m. to 7 p.m. Monday through Friday. The lot is unavailable on weekends. Signage and pavement markings designate the spaces available to park-and-ride users. The lot has direct access to the IH 30 HOV/managed lane in addition to easy access to both eastbound and westbound IH 30. Interested in carpooling to work, entertainment, or a nearby destination? A new Park and Ride location in Grand Prairie can simplify this process for those planning to visit the area. With easy access to IH 30 and near major interchanges with north-south roads, the free park-and-ride lot in Grand Prairie is en route to major employment destinations and popular sports and entertainment attractions, making it ideal for North Texans carpooling to work and special events. With a backdrop of a 233-foot recycled glass Prairie Ribbon mosaic of native grasses and bluebonnets, 328 spaces are up for grabs to commuters. Currently driving to work alone? We have options for you. Visit TryParkingIt.com for information on those nearby who might be traveling a similar route as you. Headed to see a concert or attend an event? DFWConnectARide.com can provide you with local residents who are doing the same. Whether it’s to work or to see your favorite sports team play, every vehicle taken off the road improves traffic congestion and reduces vehicle emissions. The map below may take a moment to load. A list of park and ride locations is also available.